This weeks highlight is a beautifully filmed portrayal of life under Franco in Spain in 1940. Other highlights include documentaries featuring the Malayan Emergency in the 1950's, the deadly Aryan Brotherhood in the US and a certain notorious shop steward by the name of Derek Robinson who held some sway on the British political scene in the 1980's. This edition takes a look at the growing and disturbing trend of video footage being shot and displayed on the internet of children being bullied and assaulted. This edition is of particular interest as it concerns the Malayan Emergency in the 1950's, deemed to be a forgotten war, and Ms Eclair is shocked to discover that her late father is one of those British soldiers who would parade the dead bodies of Chinese communist guerrillas in public in order to deter others. The series illustrating the vast economic disparities of differing residents of the Pepys estate in south-east London continues. 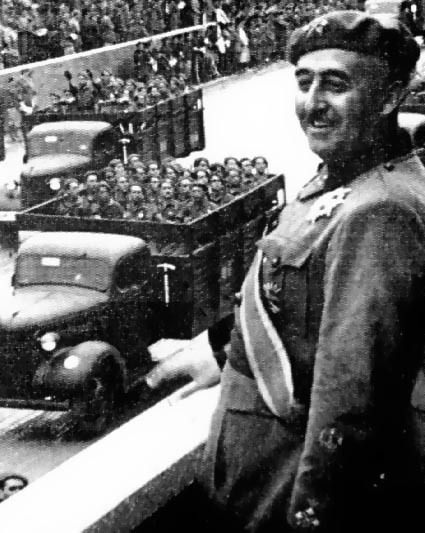 Set in 1940, this subtitled Spanish film made in 1973 illustrates in a controlled and beguiling manner the indolence into which Spain slipped under Franco and provides a biting allegory of the evil of which the state was capable. This is a documentary on the notorious Aryan Brotherhood, more than 20 of whom now face the death penalty for a range of brutal crimes the most heinous of which include delighting in the brutal murder of fellow prison inmates. Interestingly the director says they were willing to cooperate with the filming as they hated the other American media sources more who were calling for their deaths without wanting to hear their story. He says he was "warned by them but not threatened by them" and that he was "more nervous of the prison guards - several were convicted of murder while I was there." This documentary is a Time Shift profile of militant trade union shop steward Derek Robinson.